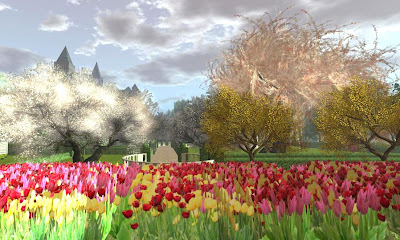 The gardens of Holland and other regions of The Netherlands, known as Dutch gardens, are typified by walled in spaces containing flowering trees and shrubs, and, most famously, large areas of brightly colored tulips. 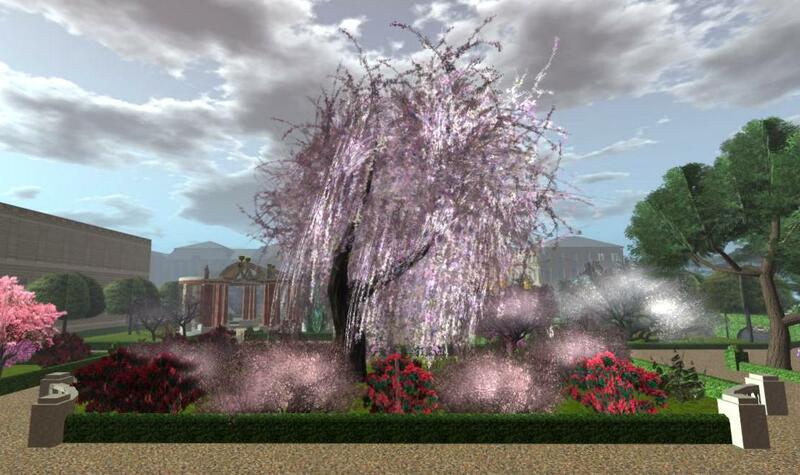 These gardens served as the inspiration to the highly manicured gardens of England and the rest of the world. 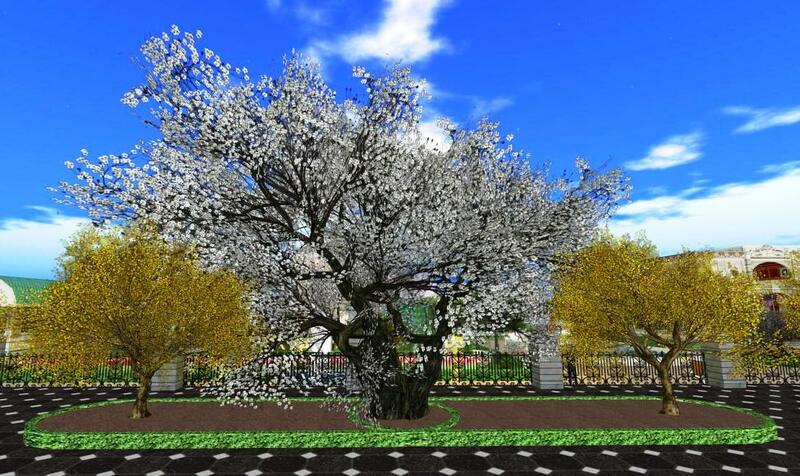 Orange Nassau is a stylized visualization of a Dutch palace and gardens that are a delight to visit and photograph in any season, but especially now as the early spring tulips make their arrival on this formal sim.